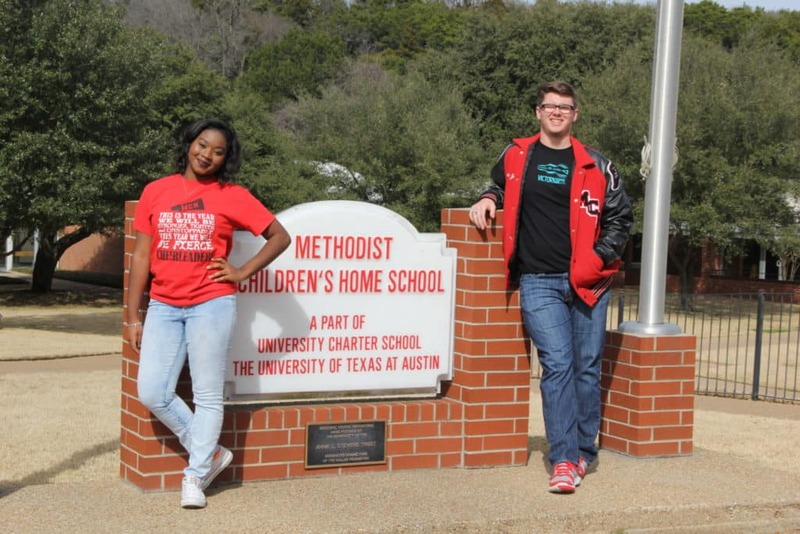 Methodist Children’s Home offers residential group care on the Waco campus and Boys Ranch. Group care enables residents to build positive relationships with caring staff members who are committed to helping youth grow physically, emotionally, spiritually, and intellectually. Residents range in age from 10 to 18. Provision may also be made for younger children as part of sibling groups. The average length of stay in our residential programs is 17 months. Youth live with 8 to 10 other residents in a home. Some youth live in homes served by home parents and a unit manager, while other youth live in homes supervised by a unit manager and a youth care staff that rotates throughout the day. Our admissions staff works with families to determine the best program for youth. The Waco campus consists of 130 acres in the northwest part of the city. The campus is the original location of the Home, which was founded in 1890. MCH can serve up to 120 youth in 16 homes on the Waco campus, which also includes administrative offices, a chapel, a charter school, a gym and other recreation facilities. MCH serves 40 youth on its 500-acre Boys Ranch, which is located about 10 miles northeast of Waco. The Boys Ranch includes five homes, administrative offices, a recreation and activities center, a variety of livestock pens and barns, horse arena and dining hall. MCH offers a comprehensive religious education program to meet the spiritual needs of youth. Activities include weekly worship services, discipleship opportunities, summer camps and mission trips. Youth on the Waco campus and Boys Ranch attend worship services at Harrell Memorial Chapel, which sits at the highest point of the Waco campus. MCH is committed to meeting the individual educational needs of residents. Most youth who live on the Waco campus and Boys Ranch attend the University of Texas Charter School on the Waco campus, while others attend Waco public schools. Childcare and school staff work together to determine the most appropriate educational plan for residents. MCH transition services staff works with high school students to help prepare them for college, a job training program or employment. Youth at all campuses participate in a variety of activities, including leadership organizations, academic competitions, recreational activities and community service. MCH provides a comprehensive recreation program for residents throughout the year, and activities are scheduled that enable residents and staff from both campuses to spend time together. Students who attend the University of Texas Charter School (Waco campus and Boys Ranch) can participate in competitive sports against other schools. MCH offers football, volleyball, basketball, cross-country, golf, and track and field. Future Farmers of America (FFA) is a significant part of the residential program and youth regularly win awards for their work with animals and shop projects. Youth also participate in a work program at the Boys Ranch that helps them develop discipline, a strong work ethic and self-confidence. One of the most important lessons youth learn while in our care is the importance of sharing their gifts, talents and time with others. MCH youth volunteer to serve their local communities throughout the year. Each summer, MCH youth combine their efforts to contribute nearly 10,000 hours of volunteer service in the Waco area. Transition Services helps former residents and children served through foster care make a successful transition to independent living and adjust to college or the workforce. The program serves MCH graduates ages 18 to 25.